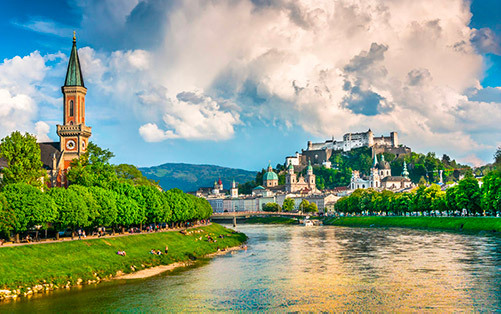 Travel by private taxi, van, minibus or bus from Salzburg to Munich. Munich is the capital and most populous city of the second most populous German federal state of Bavaria, and, with a population of around 1.5 million. 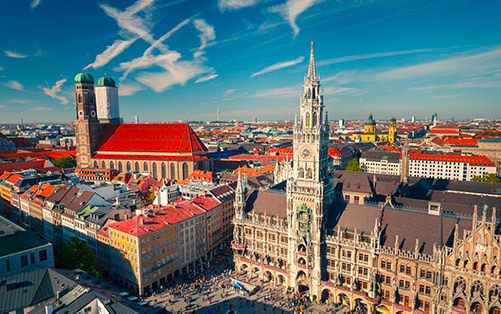 Munich is home to centuries-old buildings and numerous museums. The city is known for its annual Oktoberfest celebration and its beer halls, including the famed Hofbräuhaus, founded in 1589. In the Altstadt (Old Town), central Marienplatz square contains landmarks such as Neo-Gothic Neues Rathaus (town hall), with a popular glockenspiel show that chimes and reenacts stories from the 16th century.